Caption slip reads: "Photographer: Forbes. Date: 1954-04-19. Reporter: Devlin. 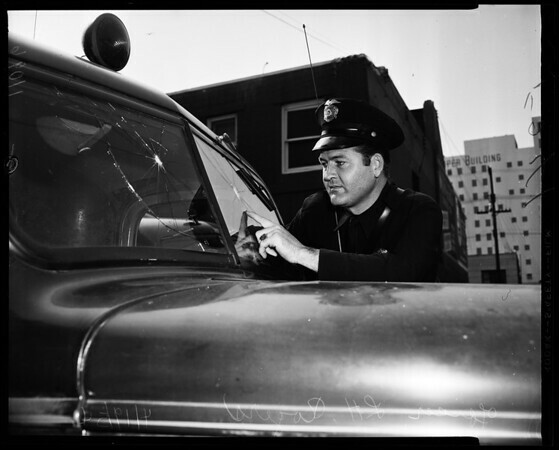 Assignment: Police patrol with broken wind shield. 145/146/241/242: L.A. Police officer L.H. Rogers looking at broken wind shield".